Many of these Sharp Aquos Smart TVs have Internet access and are connected to BishopGuest. This gives them access to Netflix and other streaming content, which you may need your own account to use. If the TV is not connecting to the Internet, please let us know. To use your own device, the TVs can connect with either VGA or HDMI. They also have USB for displaying a slide show of images on a memory stick/thumb drive/flash drive. Note: These screens are fully high definition (HD) and can display at high resolutions. Keep in mind, when mirroring a computer or laptop screen, small print and images will be in full detail but may be hard to see from the back of a room. In Corns 109, where there is an instructor PC connected to the TV, the screen resolution has been lowered to account for this. 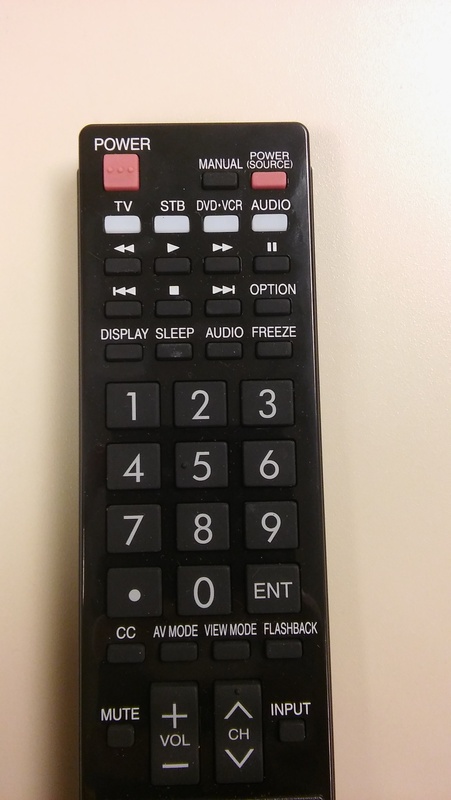 There is a remote for every TV (with the exception of Merrick 204) that should be tethered to its side. 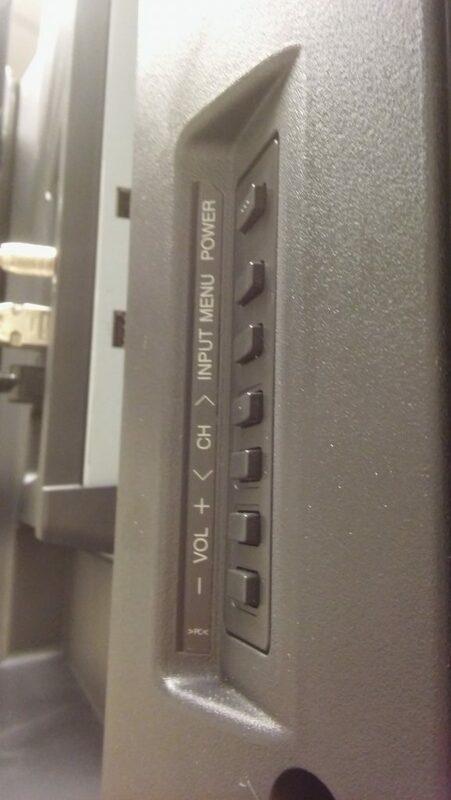 Directly beneath the numeric pad are two small, useful buttons in the middle of the row: AV Mode and View Mode. The second can be used to remove the black frame around the display. Both of these buttons will toggle between available options within each menu. MERRICK HALL: There is also a Samsung Blu-ray/DVD player in the lectern cart in each of these rooms. These players have their own HDMI cables, which must be plugged into the wall. The HDMI cable for laptop connectivity must first be unplugged. Please plug the original cable back in when you’re done with the player’s. Here is a link to the User Manual for the player.